Watch our short animated video series explaining the different IP rights and how IP can benefit business. Here at the Intellectual Property Office (IPO) we’re always trying to find new and creative ways to share the intellectual property (IP) message. 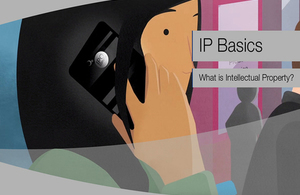 That’s why we’ve recently created IP Basics – IP made easy, a new series of IP-based animations. This suite of 12 short animations breaks IP down into bite-sized chunks that clearly explain the different rights and how they can benefit business. So whether you’re new to IP or just brushing up on your skills, or wondering how to distinguish your trade marks from your copyright, this is the perfect place for you to start. If you like this, don’t forget to check out the rest of our videos on the IPOYouTube Channel.